Search engine giant Google is working on new cryptographic card technology that it says has the potential to replace all of the passwords we use on the Web today. News from the forefront of technology comes to us from the search engine giant Google who says its engineers are now close to working out a way to do away with user log-in passwords completely and replace them with new technology in the form of a small cryptographic card that will automatically log people into accounts like Gmail and other password protected programs on the Web today. The Google engineers are calling their new crypto-card log-in technology "YubiKey" and they say it will eventually replace passwords altogether and make it faster and easier for users to log-in to every site on the Web. According to a recent report from Google, the engineers at the search giant describe the YubiKey as a single smart phone or smart card device that would act like a universal key that will allow people instant access to the many various services and sites they use online. The Google engineers are thinking this new card will let users authenticate their identities online with just one device and then they can use the same device to access Google features as well as every other password protected site they go to. Google obviously has high hopes for its YubiKey, and its VP of Security was quoted in a recent engineering journal saying that "We'd like your smart phone or smartcard-embedded finger ring to authorize a new.computer via a tap on the computer, even in situations in which your phone might be without cellular connectivity." 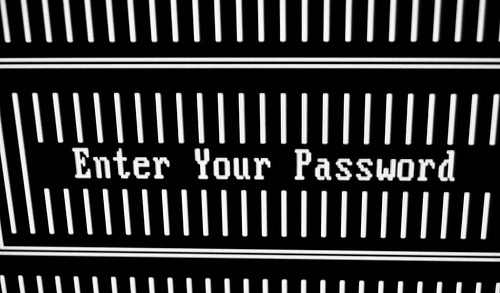 The new technology comes at a time when passwords across the Web are being all too easily hacked and the protection offered by a user's average password has never been weaker. It would be very good news indeed for Internet users everywhere if the YubiKey technology actually comes to fruition as planned because right now, the combination of new hardware, clever phishing techniques, advances in hacking techniques, and the ongoing leakage of millions of private passwords on the Web has made it easier than ever before for hackers to bust into the personal password codes we all use to access private information and business transactions across the Internet. Although Google's engineers realize that other companies have tried unsuccessfully to replace or upgrade password protections in the past, they believe YubiKey has the potential to earn Web-wide acceptance over time. YubiKey is intended to be simple to use and will not require any additional software to support it since it is designed to work with a modified version of Google's current Chrome browser. YubiKey will log-in a user automatically when the device is inserted into a USB reading port and since its authentication protocol is not dependent on Google-only technology, the hope is that it will eventually replace every password a person uses online without any tradeoffs in terms of security, reliability, and convenience.